I wrote a post last week on what’s driving smartphone/Android adoption in emerging markets. I wrote mostly about smartphones and largely ignored the tablet market. Local players like Micromax and Karbonn and cheap Chinese imports are winning even though Samsung has the largest market share. Note: local players still use contract manufacturing in China, but they’re Indian brands. This article has a nice rundown of the report and quick summary from IDC here. I wouldn’t expect any major changes to Android/non-Apple dominance in the near future. Apple simply can’t compete on price in a market where most consumers can’t shell out hundreds of dollars for even an iPad mini. Also, as with the smartphone market, I’d expect spending on cheap Android tablets in India to continue to grow rapidly. Prices will continue to decline, there’s several government initiatives aimed at growing tablet access, and you have Reliance’s 4G rollout coming soon. Expect Reliance 4G rollout to pair a cheap Android tablet with affordable data plans and bundled content/services. The next really interesting question that needs to be answered is what killer apps and services are going to be built on top of all of these tablet and smartphone devices, especially in India. And can they figure out a way to make money in a market where non-text, non-search mobile advertising is extremely low in $ terms and where consumers willingness to spend is low. I think WhatsApp is the first app to really take advantage of the Android adoption trend in emerging markets like India, and it’s also showing the way in terms of how to monetize price-sensitive users at scale. More on this soon. ← Technology Advancement: Capital Wins Over Labor? Tablets are counted as most advanced products now a days. More and more people are interested to buy tablets for their day to day use. Basically the android tablet phones are high demand by many tablet users. Different tablet manufacture companies such as Samsung, Micromax, Karbonn, Lava, Nokia and many other renowned companies are presenting new and impressive tablets for the tablet enthusiasts. 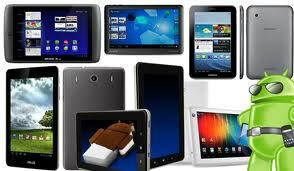 It is better to buy tablets according to your need and according to your usefulness.